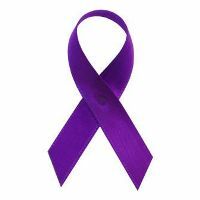 April is National Testicular Cancer Awareness Month. Most testicular cancers can be found at an early stage. In some men, early testicular cancers cause symptoms that lead them to seek medical attention. Most of the time a lump on the testicle is the first symptom, or the testicle might be swollen or larger than normal. But some testicular cancers may not cause symptoms until after they have reached an advanced stage. The American Cancer Society advises men to be aware of testicular cancer and to see a doctor right away if they find a lump in a testicle. Because regular testicular self-exams have not been studied enough to show they reduce the death rate from this cancer, the ACS does not have a recommendation on regular testicular self-exams for all men. However, some doctors recommend that all men examine their testicles monthly after puberty. Testicular cancer is not common; about 1 of every 263 males will develop testicular cancer at some point during their lifetime. The average age at the time of diagnosis of testicular cancer is about 33. This is largely a disease of young and middle-aged men, but about 7% of cases occur in children and teens, and about 7% occur in men over the age of 55. Because testicular cancer usually can be treated successfully, a man’s lifetime risk of dying from this cancer is very low: about 1 in 5,000. For more information about testicular cancer, visit the American Cancer Society.